Whether it's to improve your shooting form or just to save money on ammo, these easy-to-install .22 rimfire conversion kits from Kimber will let you get even more enjoyment from your 1911 pistol. Fits almost any brand of mil-spec. 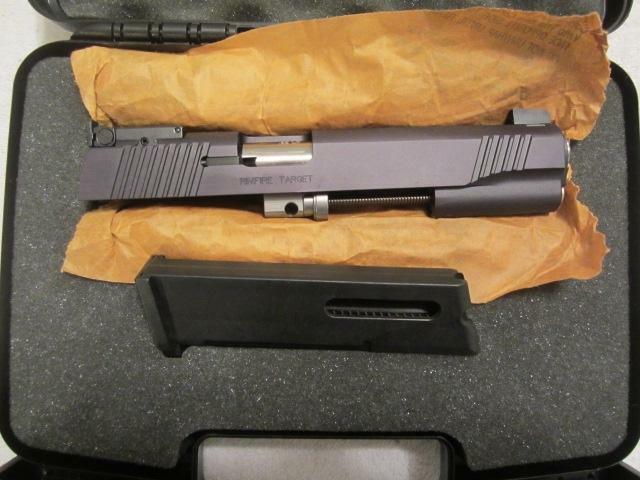 1911 with single-stack magazines and nonramped barrels. Installation is as simple as field stripping. Changing from centerfire to rimfire can be completed in less than a minute. Includes one 10-round .22-caliber magazine. No modifications are necessary and you will not have to change mainsprings. $339 plus $15 shipping (Reduced) $239 plus $15 shipping. 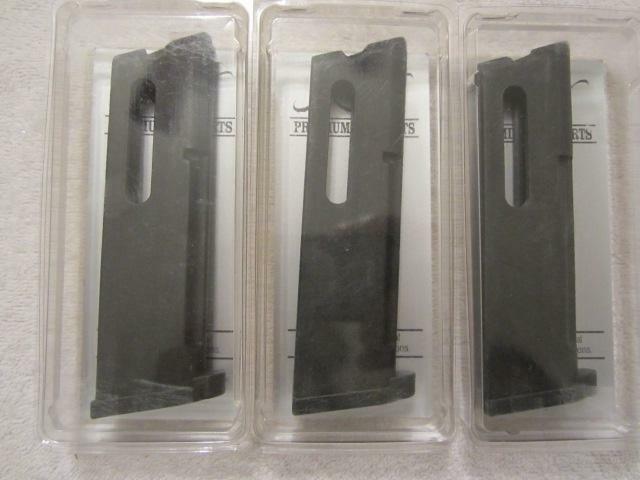 Also available is THREE extra 10-round .22-caliber magazines $20 each with purchase of .22 LR Rimfire Conversion Kit.